Luke (specialised stainless projects) & I are installing a Smeg CWC611D Commercial Dishwasher in a kitchen in Mudgeeraba. This dishwasher was perfect for this kitchen, the 600mm x 500mm racks are great for trays & pots they use in this kitchen. 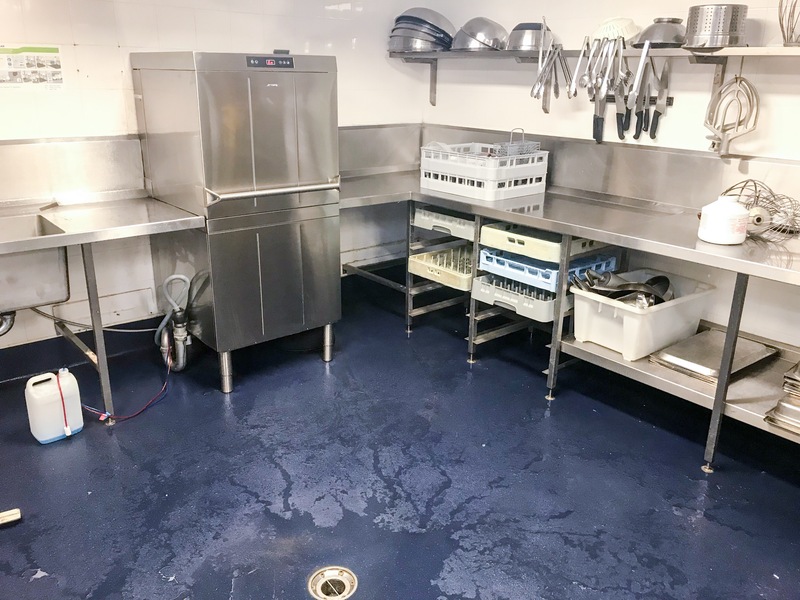 The pass through dishwasher has an insulated hood which makes for a very quiet dishwasher, great for any commercial kitchen that requires only the best in warewashing. 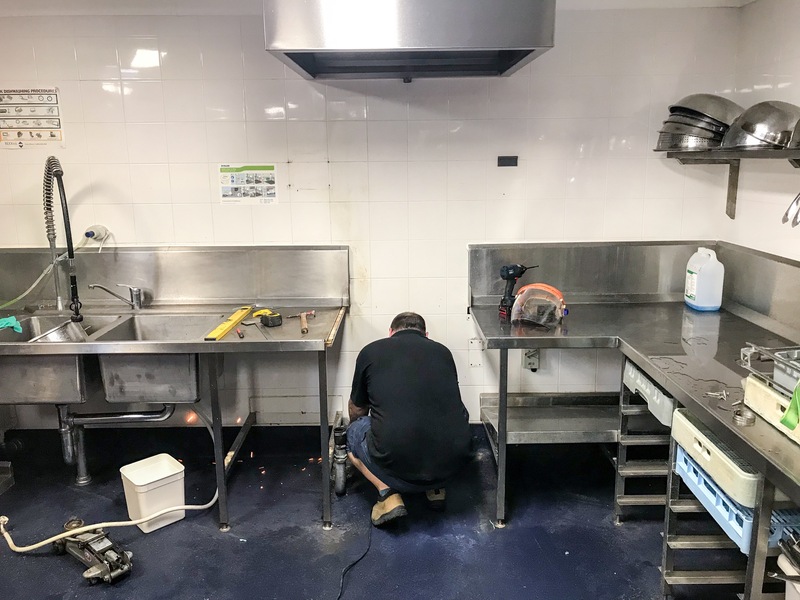 You can see in the picture below Luke is cutting both sides of the bench So the new dishwasher sits central under the hood. The commercial dishwasher we removed had served the customer well but the cost of maintaining was starting to increase so the customer decided to change to the Smeg brand, with two years warranty & thats PARTS & LABOUR. The end user knows that Smeg is there to help if something should go wrong. Dishwashers & Glasswashers are kept in stock on the Gold Coast if a Dishwasher is required at short notice. For the larger machine they are delivered to your door free of charge twice a week. A full stock of spare parts are also kept here. Luke from specialised Stainless Project cutting benching to shape.